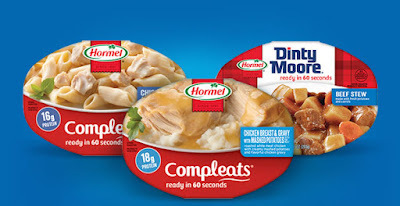 Savvy Spending: Kroger: Free Hormel Compleats Product! Clip today, use by 10/7! Kroger: Free Hormel Compleats Product! Clip today, use by 10/7! Kroger shoppers: today, 9/21, only you can load a coupon to your savings card for a FREE Hormel Compleats Products 7.5-10 oz. You must clip this coupon today, but it is valid until October 7th.